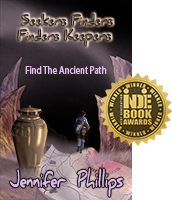 Book One in the Seekers Fnders Finders Keepers series. Suitable for Young adults and up. Comments from adults: "It is well written. It Flows." "I couldn't put it down. I wanted to know what happened next." Paperback:It can be purchased form a range of bookstores including Koorong Bookstores, amazon.com and borrowed through the Australian Library. If your postal address is Australia, you can also purchased it from from Wing To Wing for $25 which includes postage. Click the link:	Buy Now and then email me with your details as well, using the contact form.